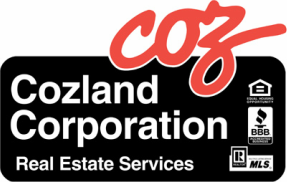 Cozland Corporation provides a wide range of real estate services to the Greater Phoenix Metropolitan Area. We're members of the National, Arizona, and local Associations of Realtors, the Multiple Listing Service (MLS) and the Better Business Bureau (BBB). Whether you're looking to buy, sell, lease or get some answers to your real estate questions, you've come to the right place. The more you know about what we do, the more you'll appreciate the way we do it. Feel free to send us your comments and questions. Your feedback is our key to always being the best we can be. Thank you for visiting, please stop by again soon!